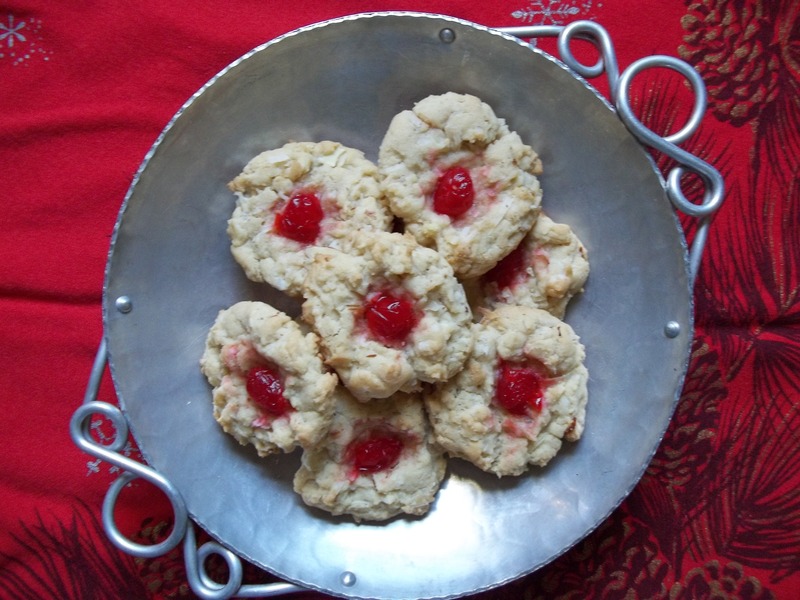 Are you on the lookout for a new Christmas cookie recipe? Well, then, you’re in the right place! 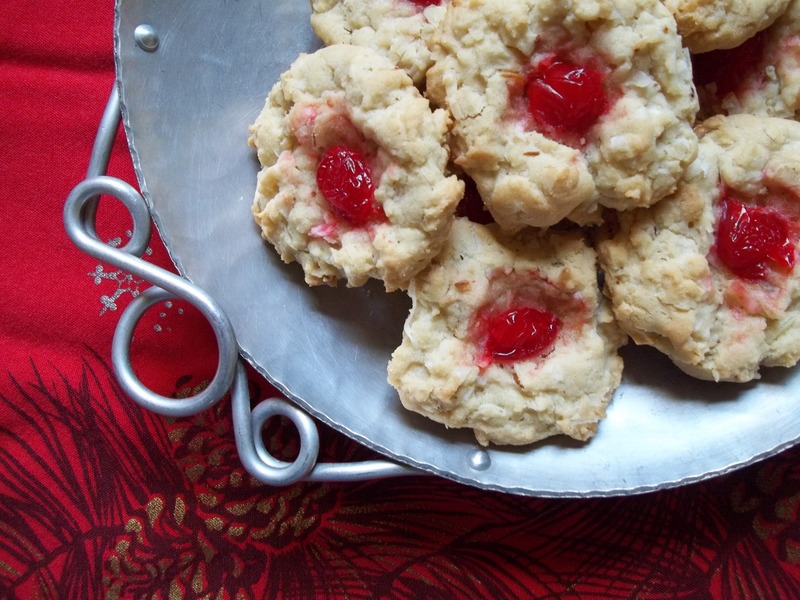 Today I’m sharing one of my all-time favorite cookie recipes ever. I make these every year, give them out, and get lots of requests for the recipe shortly after. Yup, they’re that good. 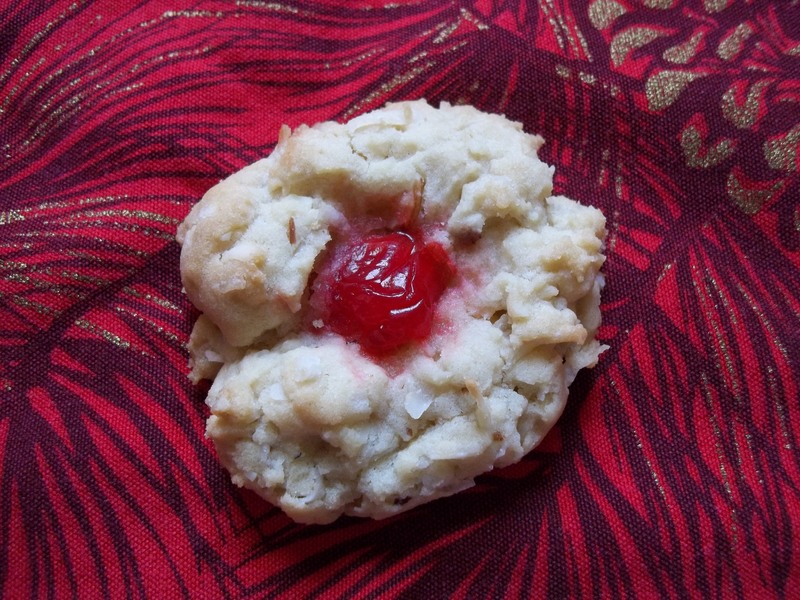 Coconut, almonds, and a maraschino cherry make this a unique crowd pleaser. In a mixing bowl, cream shortening and sugars. Add eggs, then beat in extract. Combine flour, baking soda, and salt–gradually add to creamed mixture. Stir in coconut and nuts, if desired. Drop in rounded teaspoons 2 in. apart onto lightly greased baking sheets. Place a cherry half in the center of each one. Bake at 350 for 12-14 minutes. 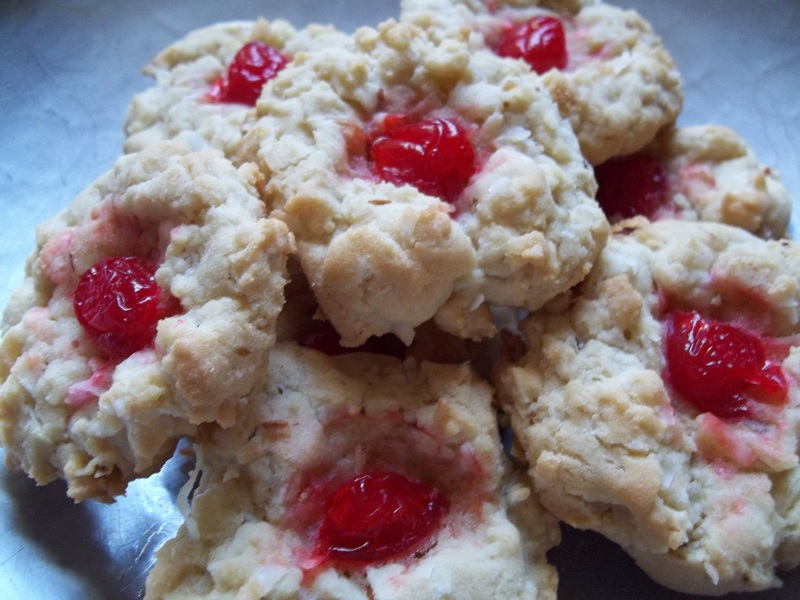 Recipe from Best of Country Cookies, Taste of Home, 1999. These look yummy and easy. Thanks for linking to Things I’ve Done Thursday!